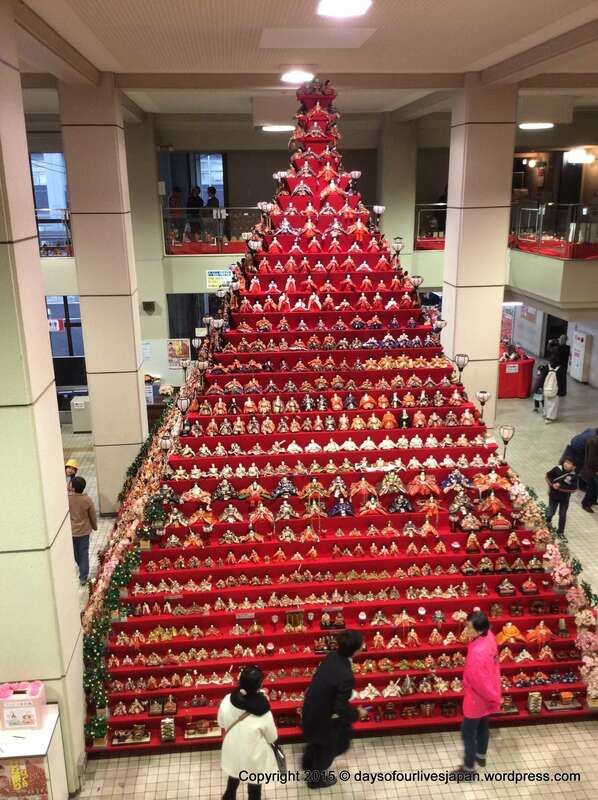 Konosu Doll Pyramid at the Bikkuri Hina Matsuri "surprising doll festival"
Konosu Doll Pyramid – The doll festival is celebrated on March 3rd, annually, for girl’s day in Japan. 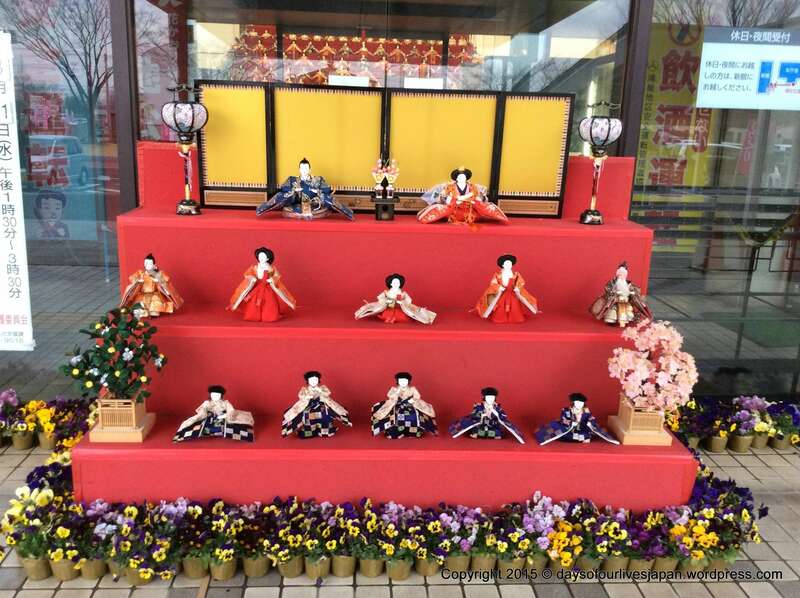 Each household with young girls display hina dolls from early February for the health and prosperity of their daughters. The dolls are also associated with marriage and there is a belief that if you display the dolls past March 3rd it will adversely effect your daughter’s future marriage potential. 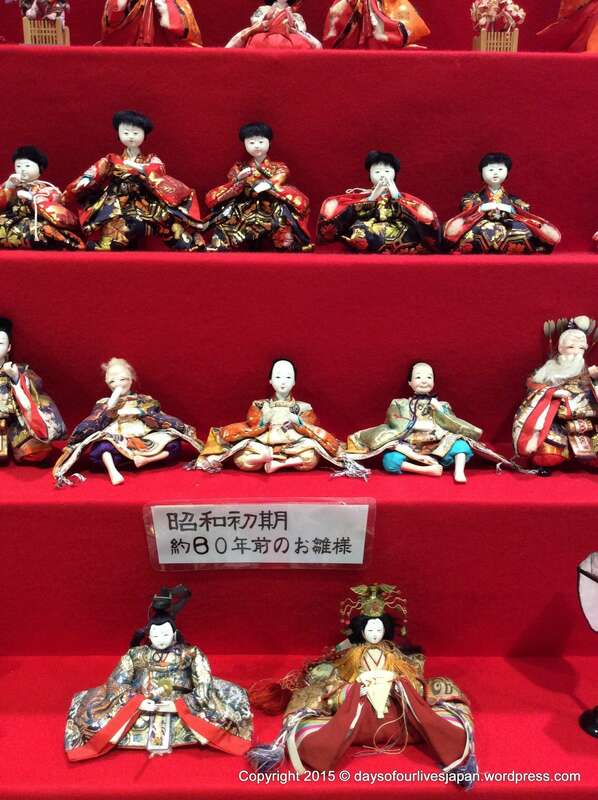 Traditionally dolls were tiered on platforms, but nowadays, the dolls are sold in cases. 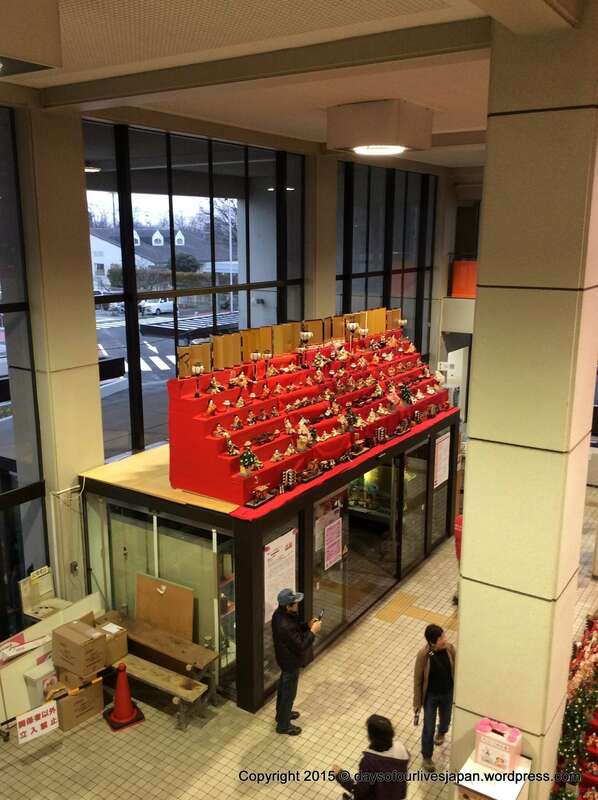 Most businesses and services, such as preschools and hospitals, display the traditional type tiered hina matsuri dolls from early February. 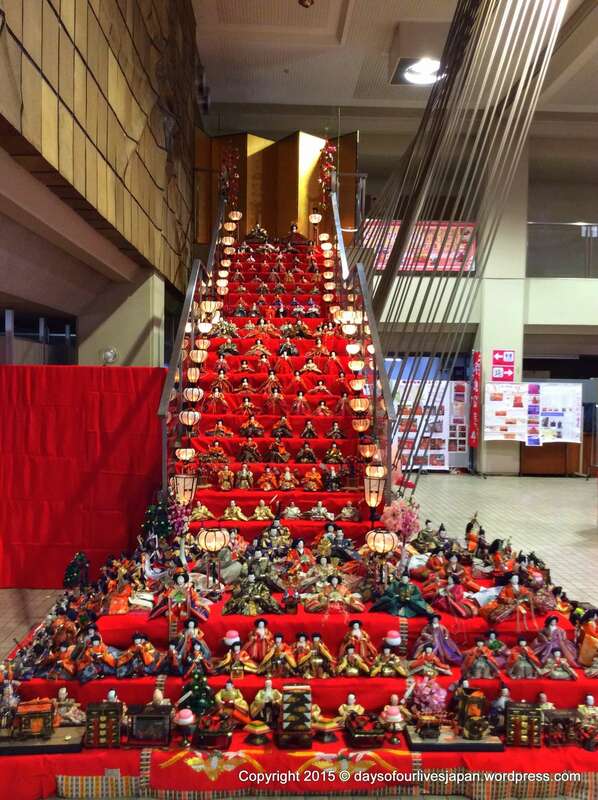 One of the largest displays of the traditional dolls, featuring Emperor, Empress and all the figures of the Imperial Court, as well as the ancient paraphernalia, is in Konosu, Saitama. The title of Konosu‘s famous girls day displays of dolls is very apt. 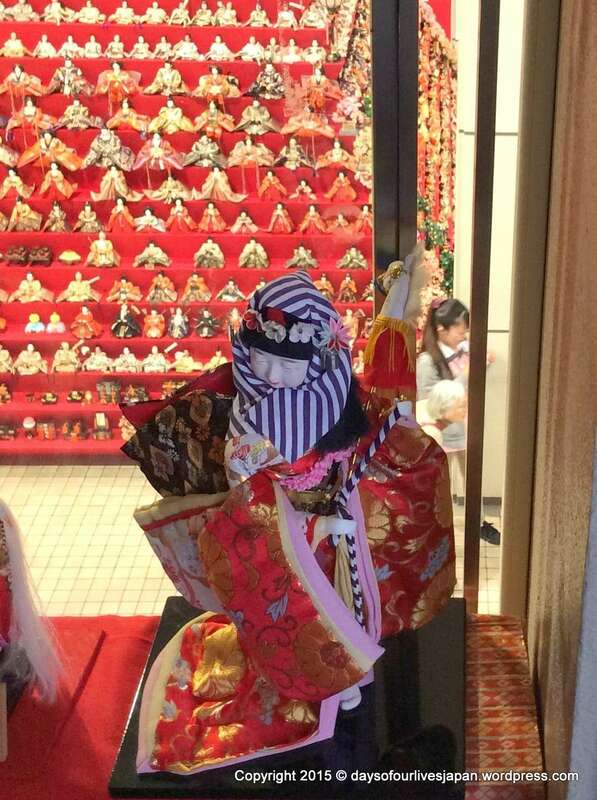 Bikkuri Hina matsuri literally means “surprising doll festival“. When I walked into where they were hosted in 2015, I literally let out a very audible “WOW!” The displays are indeed surprising and also very impressive, easy to access and free to view. (2019 update…)They will be open to the public from February 20th 2019. 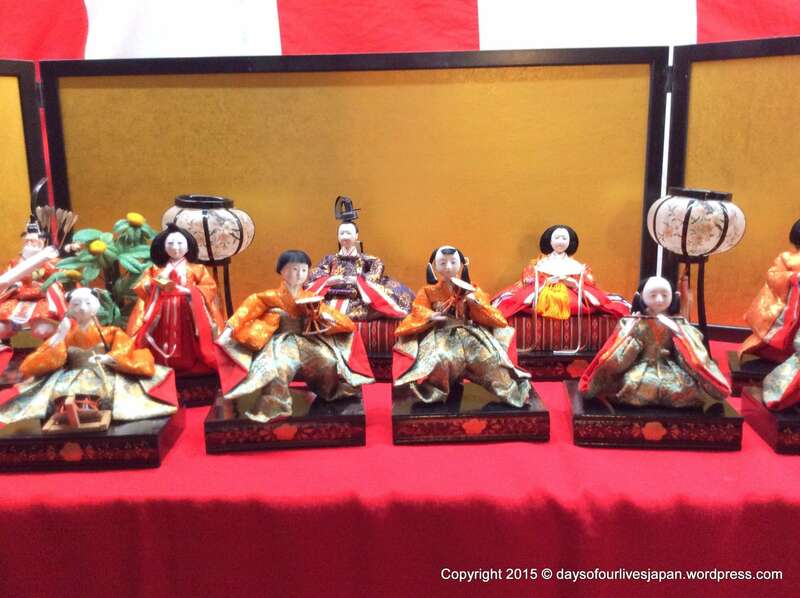 The municipality of Konosu celebrated its 60 year anniversary in 2015, but the area has a long doll making history, dating back approximately 380 years. 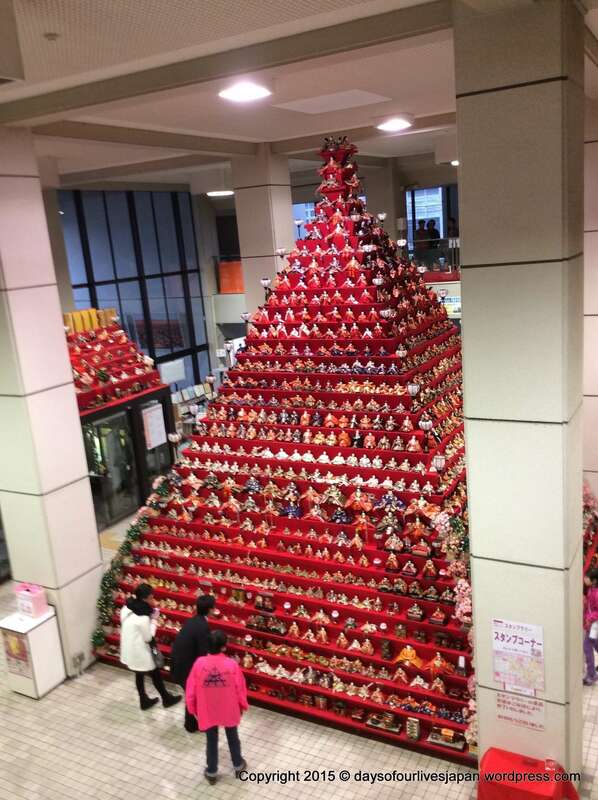 Coupled with the famous hina doll displays, this has earned Konosu the nickname of “Doll Town”. 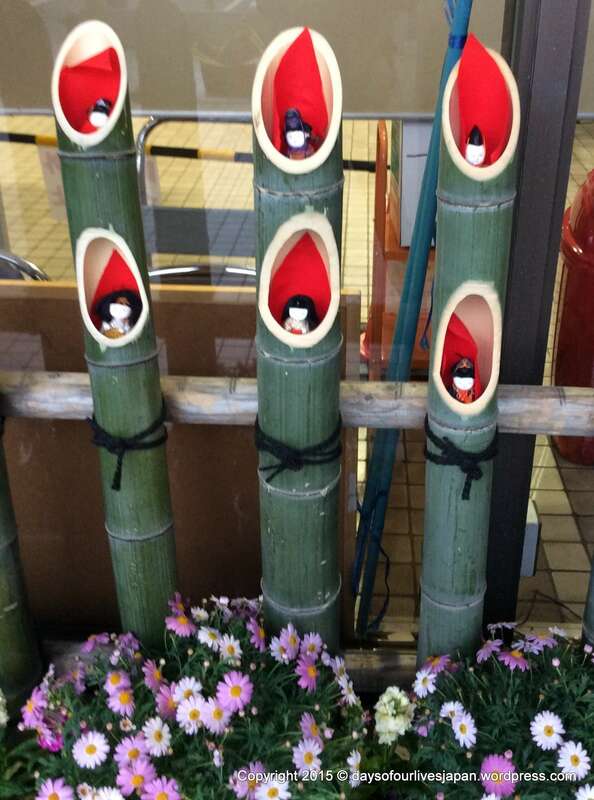 There are different sites in Konosu displaying the tiered dolls of an Imperial court and/or palace. In 2015, we visited the largest at the Konosu City Hall. In 2016 the display was moved to Elumi mall beside the station and that is the current location to view the displays annually. 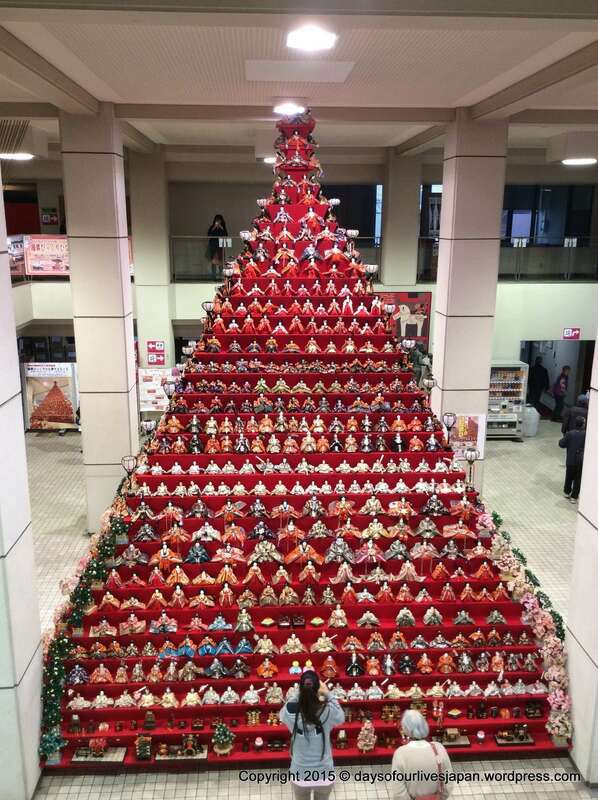 According to the offical website, the Konosu prefectural doll’s pyramid display is the tallest hina matsuri dolls display in the whole of Japan. There are 31 platforms and it is 7 metres high. 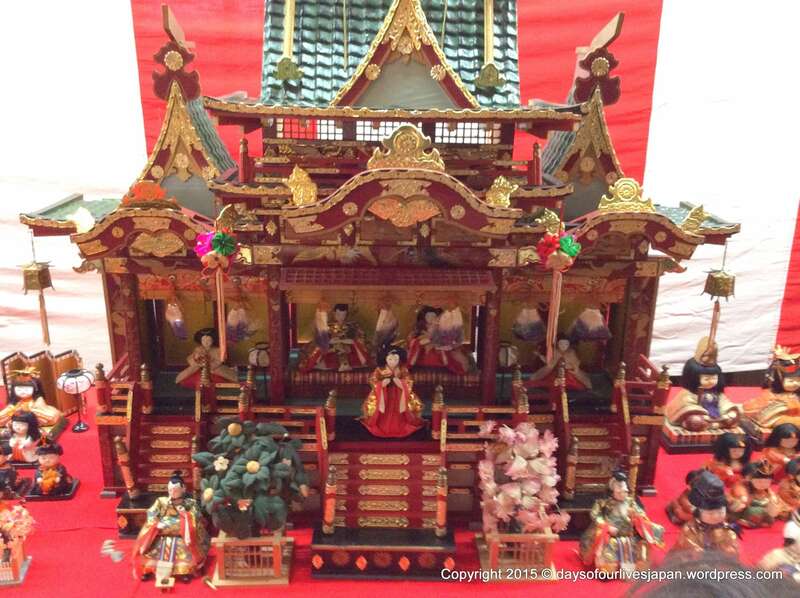 There is also a display outside in the courtyard, some in cut bamboo, as well as a large display on a staircase inside and you can view hina dolls throughout the lobby and hallways of the ground and 1st floor of the City Hall. (You can also view other displays in the mall beside the station and other locations, which may change each year.) Even the toilets of the city hall are marked with pictures of an Emperor for men and Empress for the lady’s toilet! Oops forgot to Respond the other day. It reAlly was impressive. I had hoped to go and see some other displays, but the kids got sick and that was the end of that! 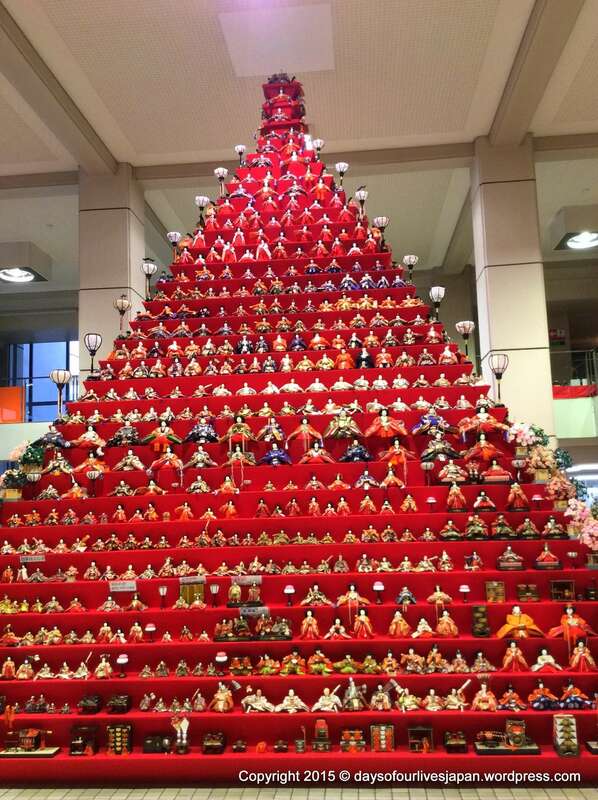 My sensei was telling us about Hina Matsuri in class yesterday, I would so love to see all the displays in person! There’s going to be a big Hanami Festival in Dublin this year though, so I can’t wait for that!! Oh wow, great. I’ve really gotten into the cherry blossom fever over the last few years. Where is it on? Oh now that you say that I think my friend went last year. How cool that I can tell my Japanese friends and acquaintances that we now celebrate hanami in Ireland too ???? THANK YOU for posting. I’m going to train and bus it to see them.